For many years, we believed that eating foods high in cholesterol & saturated fat increases the blood levels of cholesterol which in turn can spell trouble for the heart. So, butter, ghee, coconut oil, egg yolk (yellow), red meat, cheese, and other foods that contained either cholesterol or saturated fat were deleted from the shopping lists of many homes. Then came studies that showed egg yolk didn’t raise blood cholesterol levels, in spite of containing high amounts of cholesterol. Of late, there’s a lot of talk on whether saturated fats raise blood cholesterol or not. 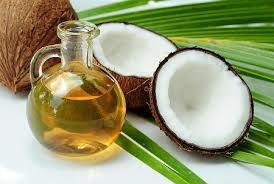 Many studies are indicating that ghee, coconut oil and other sources of saturated fats are not as harmful as thought earlier. Trans fats and refined carbohydrates (sugar, maida, white bread and white rice) are the ones to watch out for. Cholesterol is not a bad thing. It is an essential item and has many functions in the body. So, if you have any fear about cholesterol, please remove it from your minds. Two days ago, I was listening to a talk by a very senior Swedish professor who basically trashed the information that cholesterol from foods and saturated fats can be harmful. He said that refined carbohydrates are the culprits causing damage to our health. He felt sad that many Indians have stopped using ghee, coconut and coconut oil. He encouraged the use of these foods. He also said that we use too much sunflower oil and should reduce it’s use. Increase protein intake through foods, include lots of vegetables and fruits, leave refined carbohydrates, was the advice given. I agree with most of the points given by the professor. 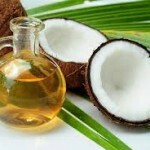 But we need to be careful of the quantity of fats that we use. Also whole grains like brown rice, atta, millets, are an important part of our meals. It all comes down to eating sensibly and exercising regularly. So, go ahead and use a spoon of ghee or coconut oil in your cooking. Don’t forget the garnish of grated coconut! 0 Comments | Posted by admin at 10:29 am. Leave a comment! During an interactive nutrition session with badminton trainees, their parents and coaches, I was asked if a growing child can eat egg yolk. I wondered why this question came up. 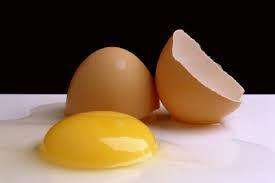 A parent informed me that her son doesn’t eat the yolk because he wants his heart to be healthy! Good intention, indeed. But is it necessary to avoid egg yolk totally? No. Egg yolk (the yellow part of the egg) is filled with nutrients like protein, choline, vitamin D, vitamin A, phosphorus, zinc, folate, etc. Each of these nutrients is essential for good health. 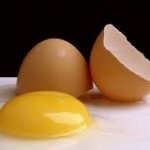 Egg yolk is also high in cholesterol. But there’ s no reason for a child or a grown-up to avoid egg yolk, unless indicated due to health reasons. Our body is designed in such a way that the cholesterol which comes thru foods can be processed and regulated by the digestive system. Moreover, a single cholesterol-rich food will not damage the heart. So, keep the yolk and enjoy a boiled egg or an omlet or scrambled egg. 0 Comments | Posted by admin at 6:49 am. Leave a comment!